Witness pulls gun on barefoot chase suspect in effort to help police. 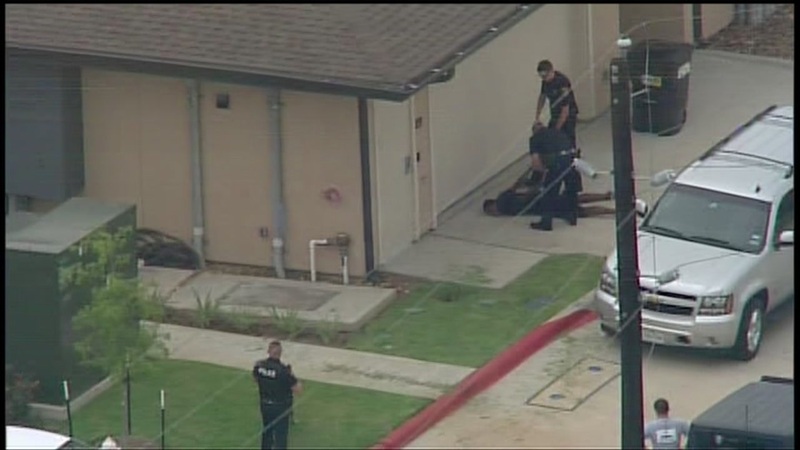 HOUSTON (KTRK) -- Another day, another police chase, but this one had a different ending. Early Monday afternoon, a man in a red Pontiac ran from Houston police. HPD hasn't provided details on why he was being pursued. The chase began near Highway 59 and Chimney Rock, then extended to Fort Bend County. 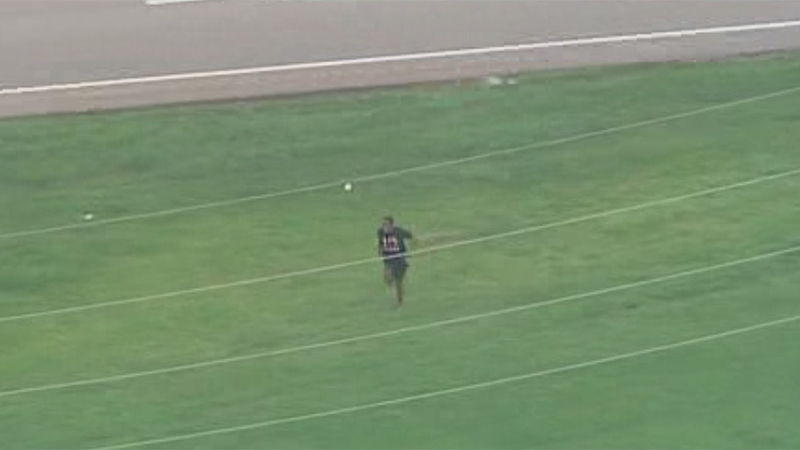 A suspect led police on a high speed chase through Ft. Bend County before jumping out and running. He didn't get far. The fleeing driver veered into a freeway construction area past the Grand Parkway, and jumped from the car as it slowed. Moments later, he jumped the freeway barricade, ran across the northbound lanes barefoot. Police ran after him on foot. The man ultimately gave up, surrendering to authorities inside a residential complex, right next to a couple of witnesses who were unloading a vehicle. The man made it to the parking lot of an assisted living center on the feeder road. SkyEye video shows him approaching a couple unloading their SUV. About that time, a white Jeep enters the picture, driven by Blake Hopson. He saw the foot chase, saw the man running across the parking lot, and approach the truck. "I didn't know what would happen if he got to those people," he said. So Hopson opened his glovebox, and retrieved his 45ca. pistol. "I have a concealed handgun license, I know what to do," he said. "I yelled at him to get down, and he did." It's unclear whether the suspect collapsed from exhaustion, or perhaps the sight of a man with a gun some feet away. Hopson doesn't know either, but that's not the point. "I'm happy to be a good Samaritan," said the aspiring firefighter. "Who knows what would have happened to that guy unloading his car?"